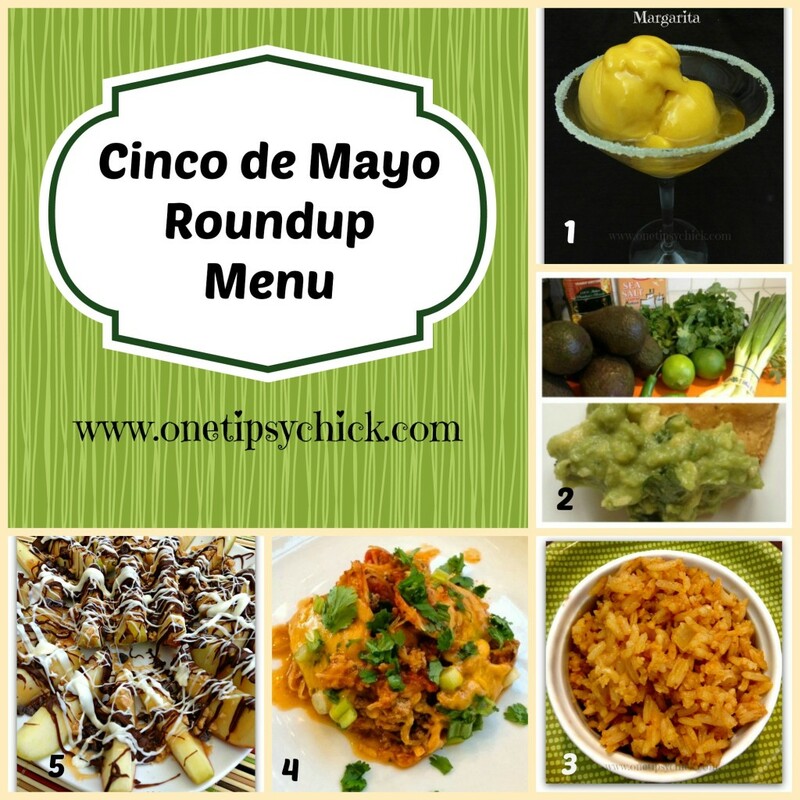 For Cinco de Mayo, I’ve put together some of my favorite recipes to make one fabulous menu! 1. First we will begin with a Quick and Easy Margarita. So many flavor options, in under 60 seconds! Blender-free! 2. Next we’ll have some Easy Guacamole. Perfect with chips and salsa, tacos, enchiladas and more! 3. This Spanish Rice has become our favorite rice dish. Not only will it be perfect for Cinco de Mayo, but as a side dish with most meats and vegetables! 4. The main course will be a Spaghetti Squash Enchilada Casserole. Truly one of my favorite meals! Healthy and delicious! Can easily be made gluten free! Not a fan of spaghetti squash? No problem! Try this Taco Bake instead! 5. Finally for dessert, we will top the evening off with some tasty Apple Nachos! Oh. My. Goodness. These are amazing!